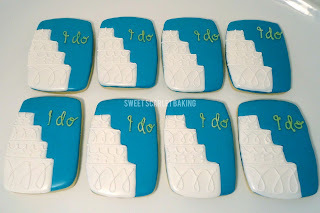 The only thing as exciting as new babies is weddings! 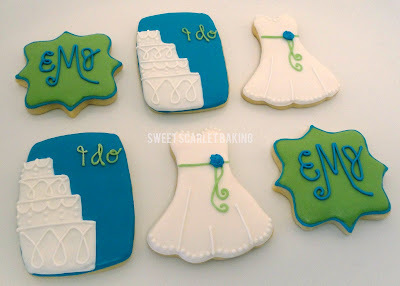 My customer requested decorated sugar cookies for a bridal shower she was planning for her co-worker. She asked that a wedding dress and cake be included in the assortment. 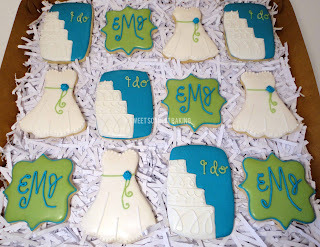 The bride's colors are tone on tone shades of green. The turquoise and sage look stunning together. A sweet sash with a flower closure brightens up this wedding dress. Designing a half wedding cake on a turquoise rectangle added tons of color and enabled me to add the sweet "i do" wording. 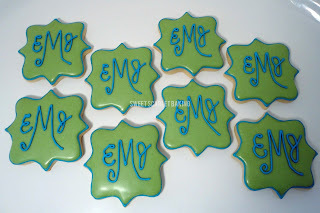 This monogram cookie really shows how fabulous the turquoise and sage look together. These cookies are even cuter in person! 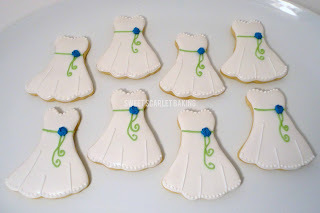 The bride will be so excited to see them. Thanks Shannon for taking our blurry vision and turning it into a work of art! The decorated situation and prefes the more and great chances as well for the better boom essay review techniques. 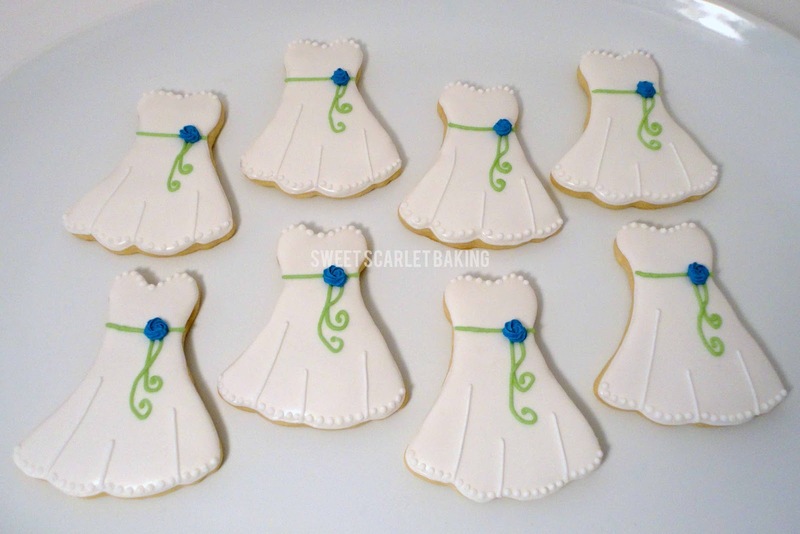 This sweetscarletbaking blog has been giving us about bridal shower the designs and approves assortment.